This entry was posted on Friday, April 5th, 2019 at 17:12 and is filed under News. You can follow any responses to this entry through the RSS 2.0 feed. You can skip to the end and leave a response. Pinging is currently not allowed. 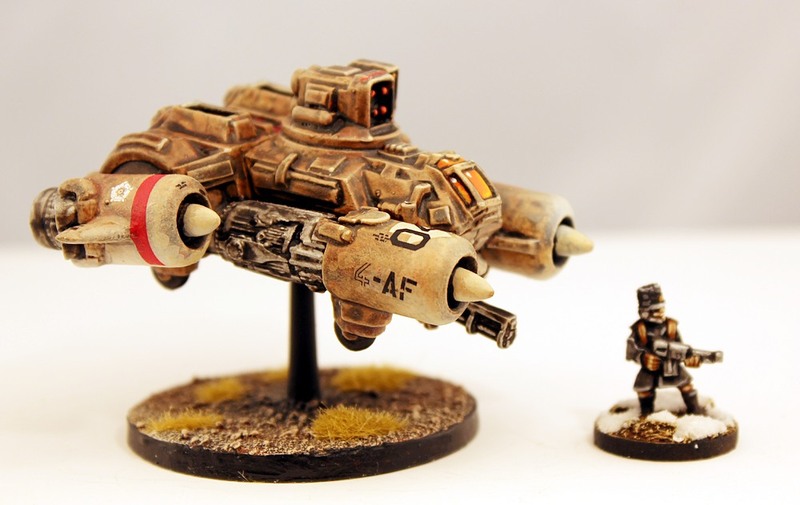 A superb 6mm scale dropship! On the whole, it’s cooler than the old one, which I also liked. I have the original model too. This one is a great addition. Also like the paint jon. Thanks chaps for your comments. I think it would work well for 6mm yes. It compares to the original and it is now a collectors piece as no more MkI Skylarks will ever be made.